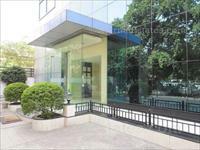 Looking for a property in Govindpuri? Have a property in Govindpuri? The lane is very broad and clean. The neighbours are friendly, there are no complaints of water shortage or power cuts. In front there is open with no infrastructure built. Open and fresh air, big rooms, no suffocation cause of 2 shafts in the house... Must go for the house, it is very reasonable and well maintained . Govindpuri is located in South Delhi which can easily be accessed through almost every corner of the state very easily. Nehru Place, the biggest market for computers, is available at only one km from Govindpuri. Kalka Mandir one of the popular Hindu Pilgrimage is also at half Km. Govindpuri, New Delhi is rated 9 out of 10 based on 2 user reviews. Have a good knowledge of Govindpuri? Share it and become a Locality expert.